Our quality, energy efficient decorative lighting includes LED teardrop, flame tip and globe lamps. 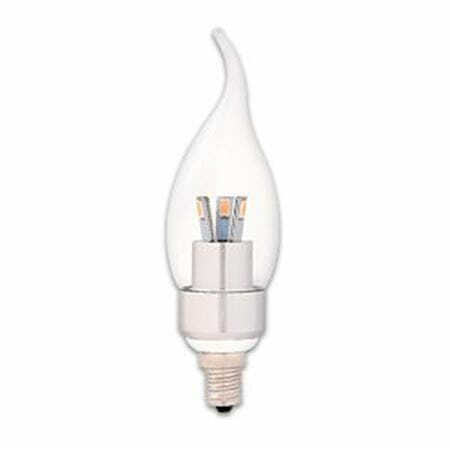 LED flame tips and teardrop bulbs are perfect for chandelier lighting or wherever decorative lamps are required. 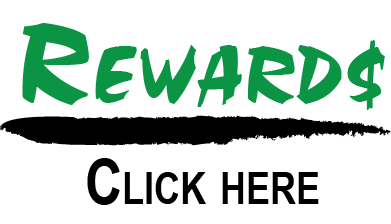 We have LED replacements for 25-watt, 40-watt and 60-watt incandescent bulbs. These warm incandescent-like colors are great for use in home dining rooms, restaurants and bars, creating a special ambience. You’ll find both dimmable and non-dimmable versions. 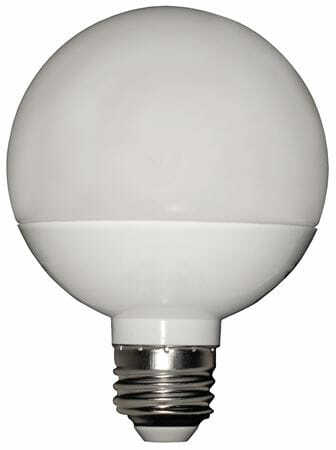 Globe bulbs are the standard 3-inch diameter size, designed to replace 60-watt incandescent bulbs. Unlike compact fluorescent bulbs, these LED globe lamps are instant-on with full brightness. Also, unlike CFLs, they’re dimmable. Our globe bulbs are available in Xtrabrite color to brighten and whiten any room, or Hearth-Glo for a warm, homey appearance. Of all the light sources — incandescent, fluorescent, metal halide and other high-intensity discharge (HID) lamps — LEDs are the most cost-effective and energy efficient. This is because, although they’re a little more expensive, they have a typical lifespan of approximately 50,000 hours. This is far greater than an incandescent bulb (about 1,000 hours) or a fluorescent bulb (10,000 hours). Even a MH bulb will only last for about 20,000 hours. You might never need to change an LED bulb (or very rarely), which greatly reduces replacement costs, not to mention time spent on ladders! Also, LED bulbs use less energy, so you’ll save money on your utility bills. MEBULBS is your best source for all your lighting needs. We offer different product lines to match our customers’ requirements and budget, and we have more than 40 years of lighting expertise. Our knowledgeable customer service representatives can assist you in choosing the perfect lights and accessories for your lighting project, whether you’re a homeowner, designer or building contractor.